Klaus and Elijah are much more fun when they’re getting along; they’re an unstoppable duo of immortals, and they get all the best lines when they take to picking on each other playfully and judging everyone around them simultaneously. It’s a family trait, but somehow Rebekah never quite had the heart for it. Hayley may lack the skills, but she’s certainly got the will. Still not realizing that Oliver is her betrayer, she tries to intimidate Francesca Correa, head of the human faction in town. Francesca is about as blithely unconcerned as Marcel was at her accusations, and in fact warns that had she aimed at the wolves, she would have taken out their shaky new “queen” first. Ballsy, and it’s just this attitude that makes an instant enemy of Camille, shared membership in the human faction or not, when Francesca grills her over some power struggle nonsense during Kieran’s wake. Kieran goes out in grand Big Easy style, with several characters commenting on the incongruous party atmosphere for his day-long funeral. The occasion finds not all the witches playing nice, but Klaus continues his winning streak of not killing anyone, trying to manipulate Genevieve (when it’s Elijah who wants her dead), and calling Mystic Falls to find out why their father Mikael is making ghostly visits to their dreams. Mikael, dead or alive, seems to know his way around witches (having been married to one of the old school ones), and hijacks Davina’s misguided séance to gain a foothold, with which he tries to kill Hayley and her baby. Hayley, however, as she’s been doing lately, fights back. While pregnant and not subject to her monthly curse, she’s gained wolven strength and speed and stamina it would seem, even in an astral form. The better to protect the miracle baby and herself. 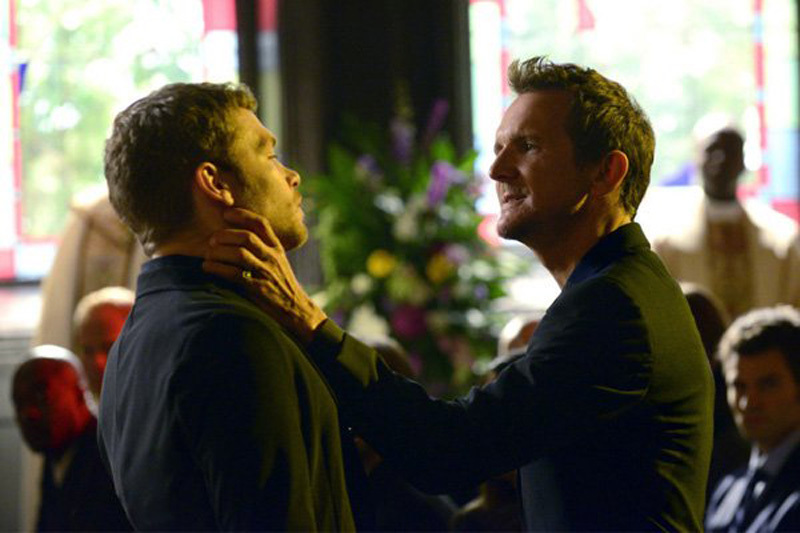 The one very Klaus activity all episode is his renewed threat to drag her back to the French Quarter for her own safety. But she surprises him by coming back on her own, and he surprises her by having prepared the creepiest nursery since Dark Shadows. 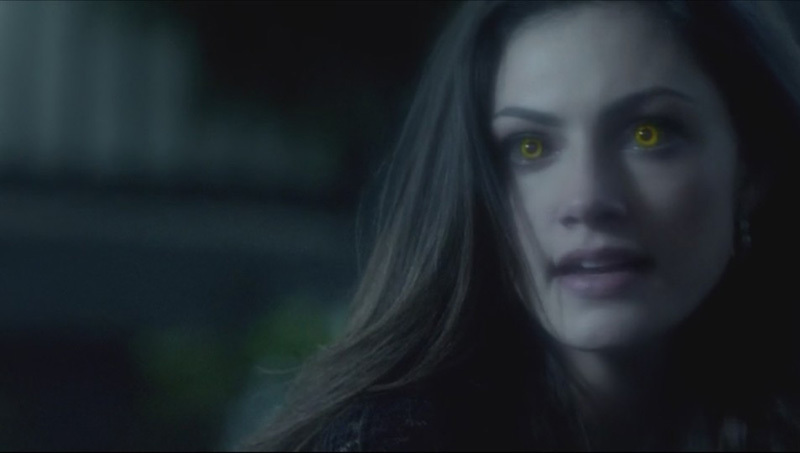 Somehow she loves the morbid little place, thoughtfully decorated with Klaus’ paintings of cities going up in flames. This is still a big improvement over how the series began, with Hayley being drawn to New Orleans and immediately captured and manipulated by the witches. Her degree of agency is marginally better now that her story is more complicated, and she even asks Klaus what his plans are for her after the baby is born. It’s a question any woman with self-regard would ask of him, but instead I’d be asking why Mikael wants to come back to life so intensely. While it’s great to see Sebastian Roche whenever he’s back in the cast, his one-note hatred for Klaus is so very tiresome. That’s the way it goes on supernatural shows sometimes: just when you think some sick vampire creep is dusted for good, he finds some gullible witch to give him a new body.